In this review, we are going to go through the features of the Celebrations Fast Dry Dryer Stand in Mild Steel. In this article, we are going to provide you an overview of what people who have used this drying stand have to say on how well it was able to fulfill its claims. After this, we are then going to provide a recommendation on whether or not this drying stand is something that you should purchase as an addition to your own home. 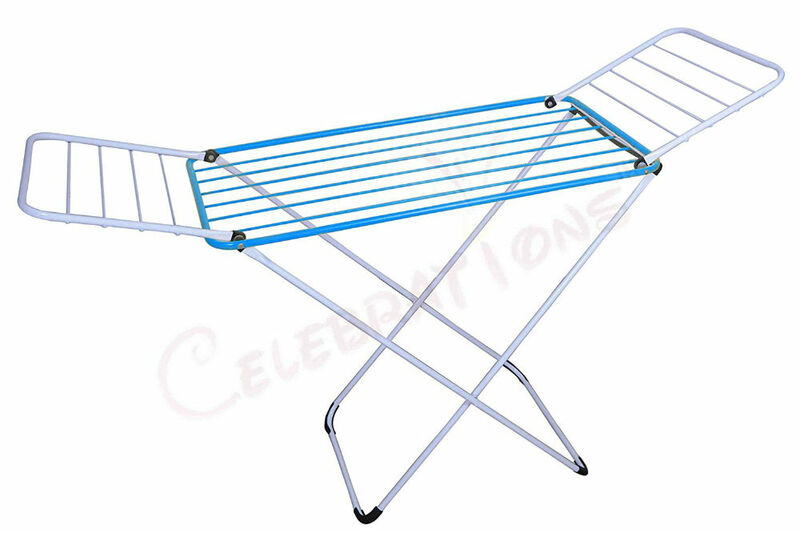 The Celebrations Fast Dry Dryer Stand in Mild Steel is a product that can provide you the space that you need to dry your clothes both indoors and outdoors. For homeowners who do not have enough outdoor space for hanging clothes, for those days with bad weather, this drying stand can help you get your laundry dry easily. This drying stand features a sturdy but lightweight material which has the capacity to hold approximately 55 to 60 kilograms of clothes. You can easily place your wet clothes over this drying stand and hang them out to dry without worrying that it will topple over. This product is made with strong MS pipes that are powder coated to make it more durable and sturdy. It has a sleek design that can fit easily even in tight spaces so you can do your laundry and dry out your clothes anytime. In addition, this drying stand comes in just the right height to make hanging clothes easy and effortless. When we looked at the user reviews, more than 90 percent of people who have purchased this product were satisfied with how well they were able to use it for drying their clothes. These customers left four to five stars saying how happy they were with this drying stand. Customers liked how they were able to put in a whole single load of washed laundry on the drying stand without it toppling over. They also liked the sturdiness the MS pipes provides, in addition to the powder coating that makes it resistant to rust. This powder coating also comes in different shades that users really liked. When not in use, this drying stand can be folded easily and does not take up a lot of space. So what do the other remaining customers have to say critically about this product? Mainly, the problem is that there were some dents on some of the rods and there was some paint peeling off. This was due primarily to the problems with the warehouse and transportation. After looking at the features of the Celebrations Fast Dry Dryer Stand in Mild Steel, homeowners were satisfied with how this lightweight drying stand was able to come through with its promise. 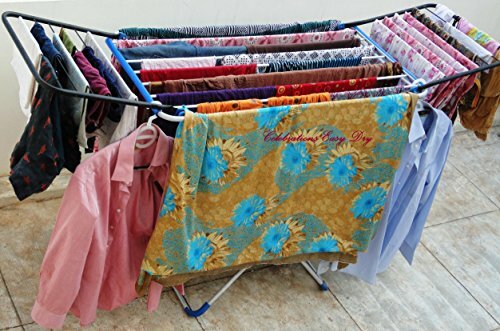 Since it does not take up a lot of space, you can easily place this drying stand indoors, outdoors, or even on your balcony to dry your clothes. If you are looking for a durable, sturdy, and lightweight drying stand, the Celebrations Fast Dry Dryer Stand in Mild Steel can be a great addition to your home!